It is a Dutch Technology brand and has its headquarters in Amsterdam. It was founded on 15 May 1891 by Gerard Philips and Frederik Philips. This brand has focused on the field of electronics, lighting, and healthcare. It was the worlds largest manufacturer in the year 2013 revenues. In India Philips is like a mother brand for all electronics and lighting and we often don’t even care about the product specs by just looking at the brand. You can click on the below link to view some toasters of Philips. It has its headquarters in Swinton Meadows and was founded on July 8, 1936, and has its specialization in home appliances like induction oven, kettles, coffee makers, food processors, microwave ovens etc. The Morphy Richards toasters are stylish, compact and cater to all the requirements of Indian households. You can click on the below link to view some toasters of Morphy Richards. It was founded in 1926 by Jamnalal Bajaj in Mumbai. The group comprises of 36 companies which involve various industries like automobiles, lighting, home appliances, insurance, iron and steel, travel and finance. This brand is India based brand and has therefore made a lot of impact into the minds of the consumers. 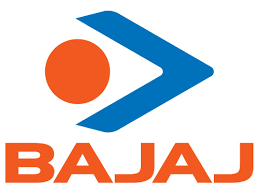 You can click on the below link to view some toasters of Bajaj Majesty. The John Oster manufacturing company was engaged in manufacturing of small appliances. The Oster brand today is under the trademark of Newell brand. The brand was started in 1924 by John Oster inside his garage in Racine Wisconsin. However, from 1960 Oster has been occupied by Sunbeam and is currently Sunbeam Oster. The Oster products maintain its reputation and hence all the products of Oster are of a great quality which makes it a bestseller You can click on the below link to view some toasters of Oster.